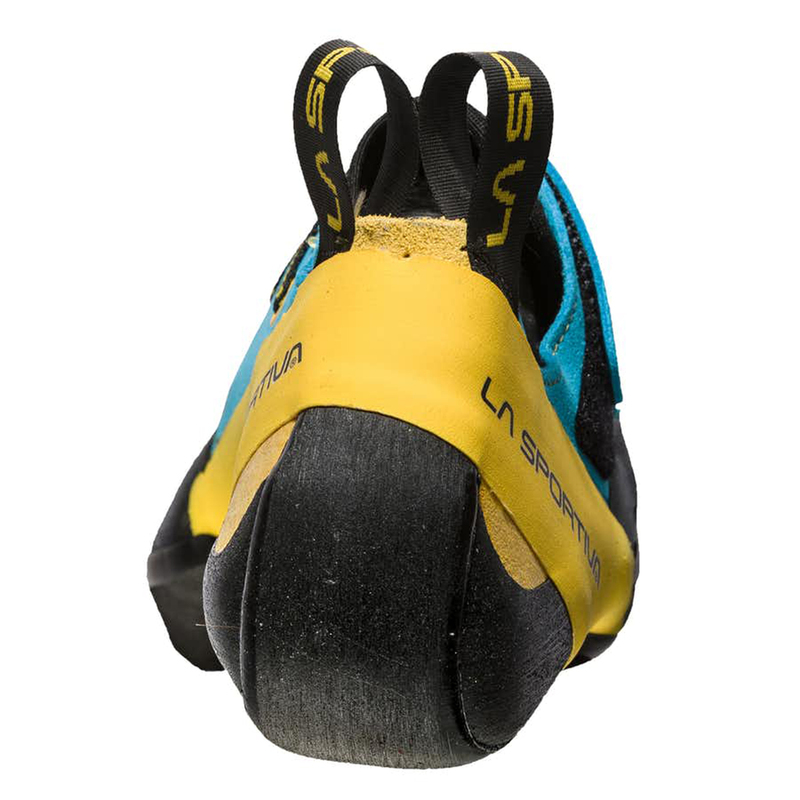 The Futura is one of La Sportiva's best-selling high-performance climbing shoes with patented No-Edge® technology for increased sensitivity and friction on blank rock. The velcro version of the Genius, the Futura has a smaller volume and will be better suited for people with narrow-medium feet. 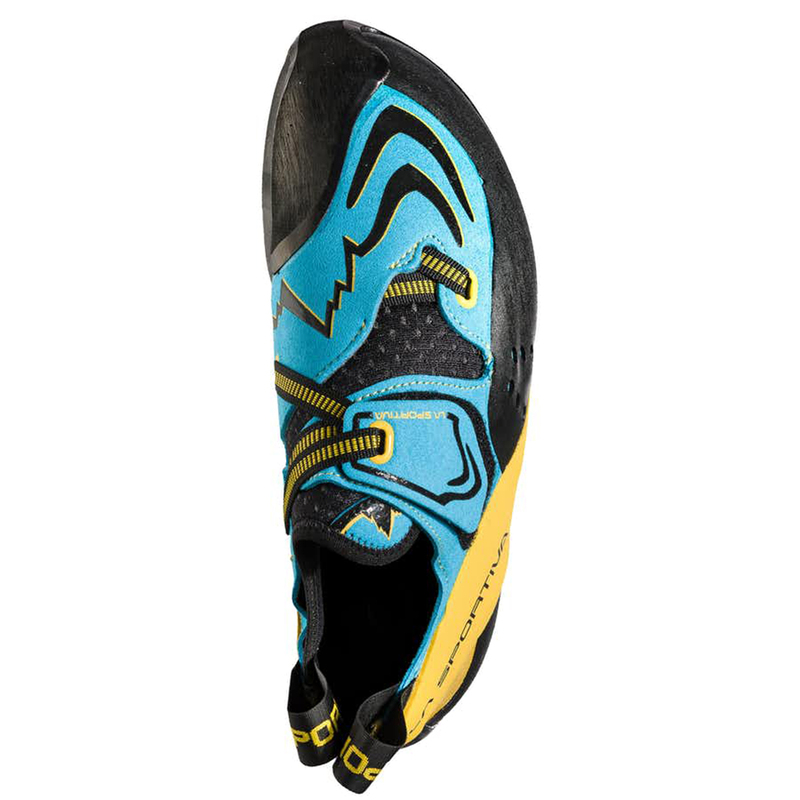 Designed for technical sport climbing and steep bouldering, the La Sportiva Futura features all of La Sportiva's not-so-secret recipes for their top-spec shoes. The P3® rand system maintains the shoe's powerful downturn, permanently. The Fast Lacing System® provides quick and precise adjustments without the same restrictions of velcro. But it's really the No-Edge® Technology that makes the Genius: a design that removes the edges from the shoe's rubber, this technology makes the shoe much more sensitive and adaptable than a standard climbing shoe and, whilst it will take some getting used to, will excel on seemingly blank rock. It may seem like a daft thing to do, but people have told us that they'd never go back to using a normal shoe. The Futura's upper is made from leather/synthetic, so there will be probably be some stretch but not that much. 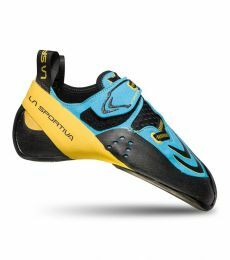 La Sportiva recommend sizing the Futura in the medium area of not too loose and not too tight for the best performance. For a softer version that will suit lighter climbers, there's also the Futura Women's. No-Edge® Technology is especially effective on featureless rock and for smearing. It decreases space between the toe and the shoe’s rubber to enhance sensitivity, allowing you to “feel” tiny holds with greater precision, and its edgeless design creates a greater contact surface area with the rock - i.e., you don’t just the rubber under your toes, but the entire toe-box. 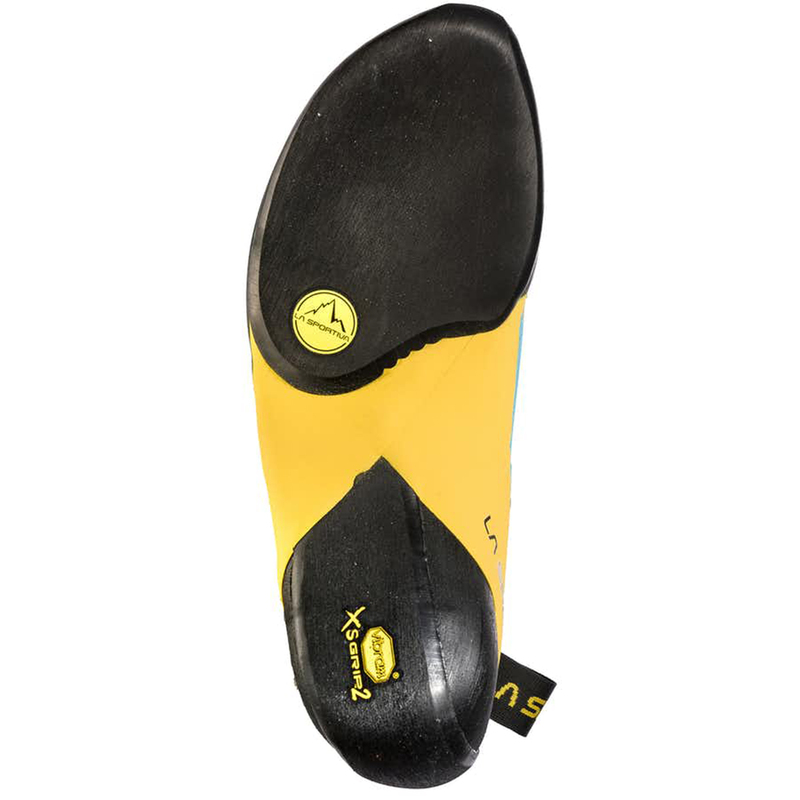 No-Edge® Technology is ideal for steep bouldering, technical climbing, and hold-less feature climbing, where it instills maximum confidence on holds you wouldn’t even notice were there in a standard climbing shoe. After intensive abuse, downturned climbing shoes can start to lose their distinctive shape. La Sportiva’s P3 rand system prevents from this happening so your shoe maintains its powerful profile, permanently. I have now trusted the futuras for around 3 years as my go to shoe for everything. The fit is snug and break in is super quick - climbs really well out of the box, also due to the no-edge tech. The toe has a tendency to rip, when you roll over a sharp piece of rock, which might shorten the life-span of the shoes, and as with the solution the tightening strap wears down and might rip as well. A bit tight at the beginning but easy to wear as it is a very soft climbing shoe. Stretches with the use. Nice for slaps and overhang. Very sticky and able to feel the rock easily. I love it!!! Recently bought these shoes again and it really works good for me. 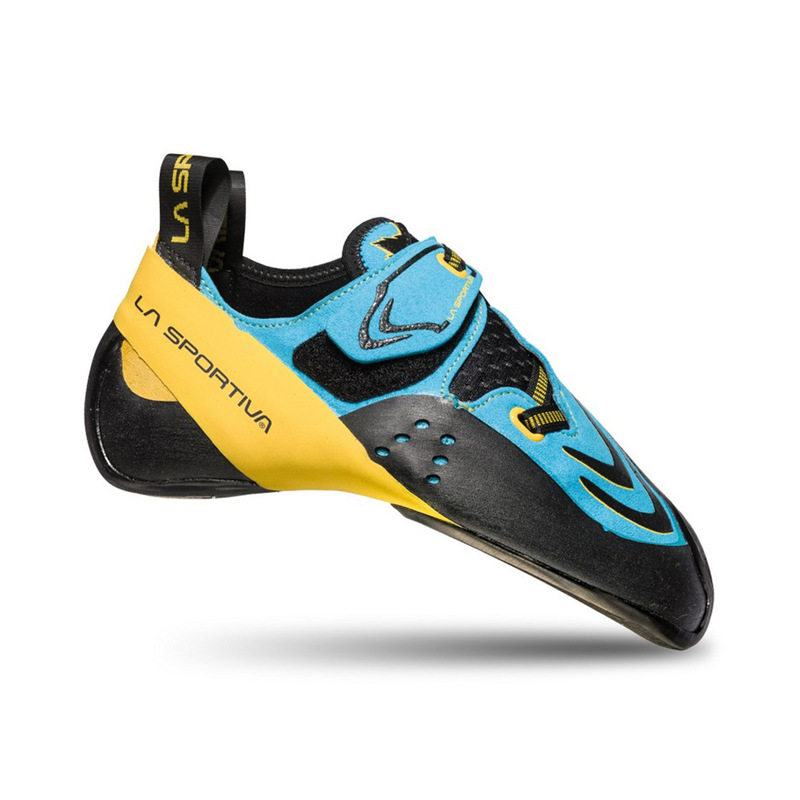 Been trying almost every lasportiva shoe and most other brands aswell. But i keep coming back to this model. The no edge system fits me perfect even on slab and the toebox is great for toehooks. I use them for both indoor and outdoor climbing. Since i almost exclusively boulder i wear them really tight. Im a size 40,5 and i wear 38. So far this is the best shoe ive had. Before I tried the no-edge shoe I was sceptical but once you get used to them they are amazing. They seem to stick no matter what angle you put your foot on. These shoes need to be sized small as they are super soft. The P3 helps keep the shape of the shoe and the toe rubber is great for hooking on steep ground. The heel on this shoeis, in my opinion, really good. Solid and precise with a good amount of feel. All in all a great shoe! Los compre para probar la tecnología "no edge" y aunque los he usado bastante poco por ahora me gustan. Es fácil acostumbrarse y funcionan bastante bien en casi todos los tipos de roca. El talon no me ajusta como el de los Python (mis favoritos) pero no parece moverse..
En cuanto a la talla, llevo un 36.5 (medio numero mas que en lo phyton) y aunque creo q estan bien, no se si hubiera podido ajustarlos un pelin mas, pero es que suelo usar los pies de gato muy ajustados..